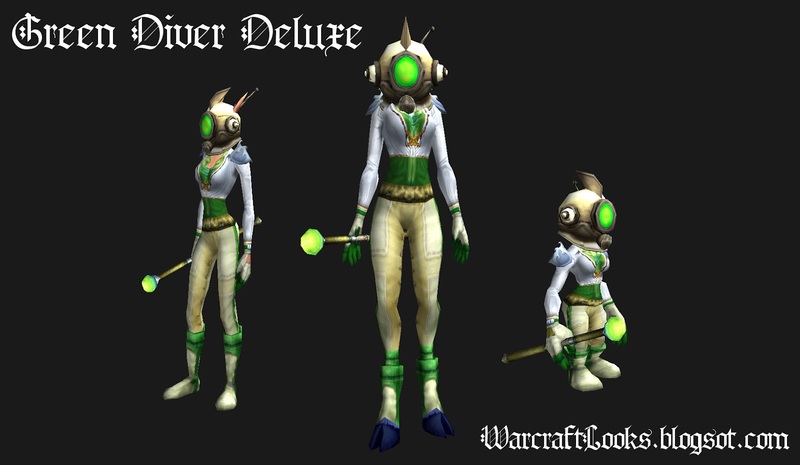 Warcraft Looks: Cloth Transmog Outfit - "Green Diver Deluxe"
This outfit definitely has a sort of deep-sea-diver-meets-Bioshock feel to it and I love it. 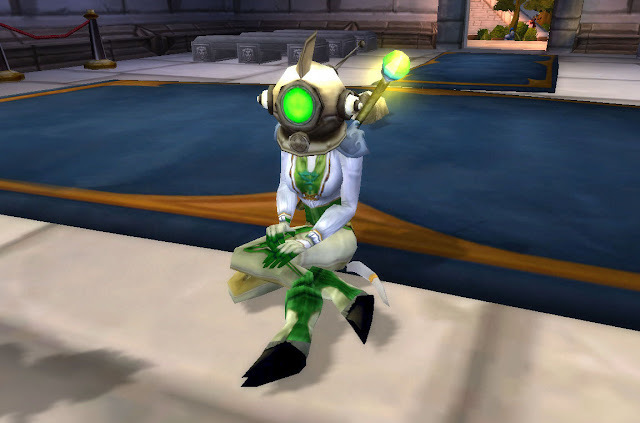 The subtle touches like the green glowing staff which perfectly matches the green glowing rocket/diver helmet really pull it all together. 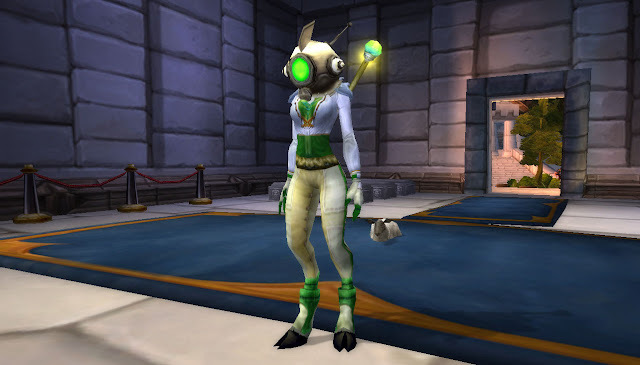 A few other notable items about this transmog outfit: the wearer was only level 19 and it is one of the first times I've seen a shirt put to really excellent use in a transmog outfit. Here are a few shots of the original creator wearing the outfit.